Located in Nagoya's downtown Sakae district, the Aichi Arts Center is a large scale cultural and art complex that is renowned throughout Japan. 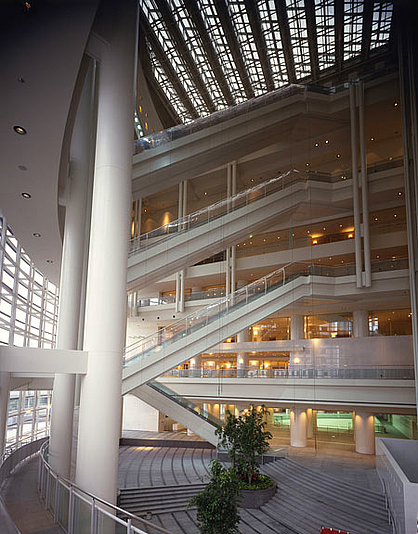 With twelve stories above ground and five stories below ground it houses facilities such as the Aichi Prefectural Museum of Art, The Theater that can serve as an opera house, The Concert Hall and The Mini Theater. The center was opened in 1992. 21 August - 31 October 2010, Nagoya, Aichi Prefecture, Japan. Theme: Arts and Cities. Artistic Director: Akira Tatehata; curatorial team. Approximately 130 artists and groups.